The sun is finally shining, the trees are starting to look green again and I got my first Easter Egg so I think it's fair to say that Spring is well and truly upon us (I bet 3 days before it's grey and cloudy again!) and what better way to celebrate the sun than wearing this beautiful striped dress from Jones and Jones? It's no secret that I have a slight (read: HUGE) obsession with stripes and I cannot help myself buying anything and everything with them on and this dress is another addition to my ever growing stripe collection. Jones and Jones creates 40s and 50s inspired dresses with gorgeous sillhouettes and quirky styles and this dress is no exception with it's ultra flattering cut and full skirt with netting - I'll almost certainly be taking this outfit with me when I go to Paris in three weeks (major eeeek!!!) - I can just imagine strolling down the streets of Paris wearing this! 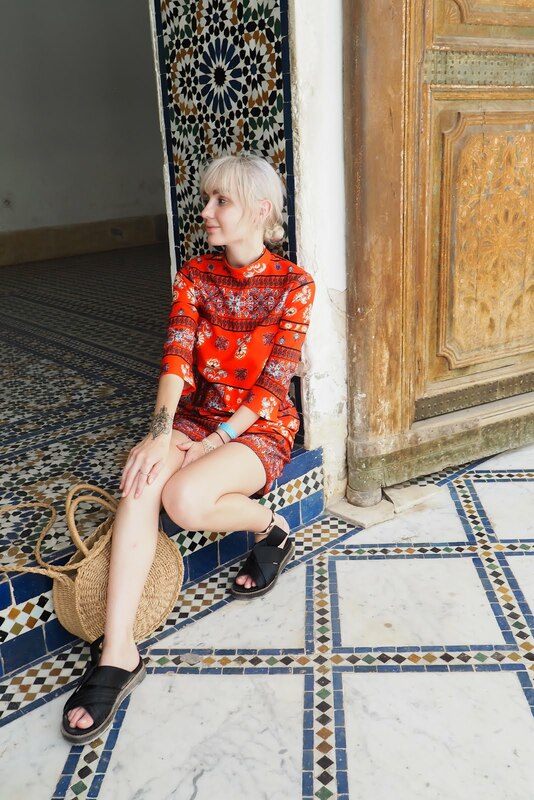 If you enjoy reading my blog pretty please take a minute to nominate me for a Company Blogger Award in the category Best Personal Style Blog- Newcomer! I'd be over the bloody moon! You can nominate me here. Love jones & jones and this dress is incredible. Now I really really want it! I love your shoes! I was eyeing these up in h&m only yesterday! I also have a huge obsession with stripes, but they're just sooo versatile so its ok right?! I love this outfit so much, love the addition of the watch as well! Oh my gosh! I love this whole outfit :) Great post, as always. Have a great weekend! I absolutely ADORE your style. SO jealous of you going to paris as well, I went last august and its hands down one of my favourite cities! Hoping to go back this summer too, but you'll have such an incredible time! Following your blog now, and it would mean a lot if you just checked out mine! You're looking amazing as always, babe :D Love stripes. super love the dress that i actually want one for myslelf. Hey love the top dear . Looks lovely . Anyway mind to follow each other? This dress is absolutely stunning! Great outfit! This dress is beautiful on you, I love the stripes! I love that hate with your hair!! Everything about this outfit is gorgeous! Stunning outfit, you pull it off so effortlessly! This dress is just adorable and I love that you're from near my neck of the woods!